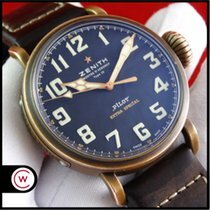 This Zenith Pilot Type 20 is in near perfect condition. There are no scratches and the strap is unworn. The bronze has slight discoloration, but otherwise everything else is in excellent condition. It comes with box and papers. 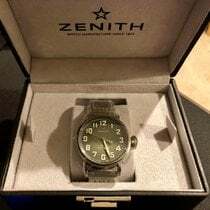 We originally sold the watch and it is a one owner watch.